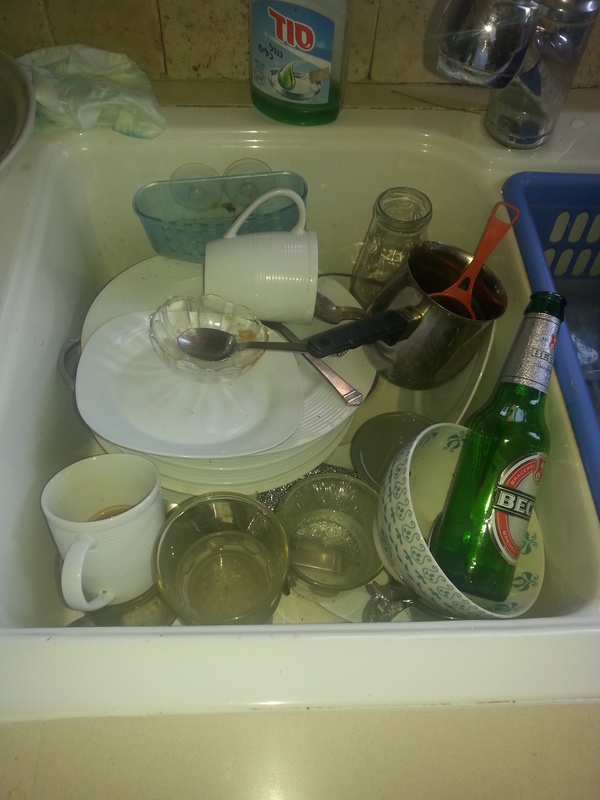 Plates and cups clog the kitchen sink. Empty beer bottles roll back and forth in the front yard. 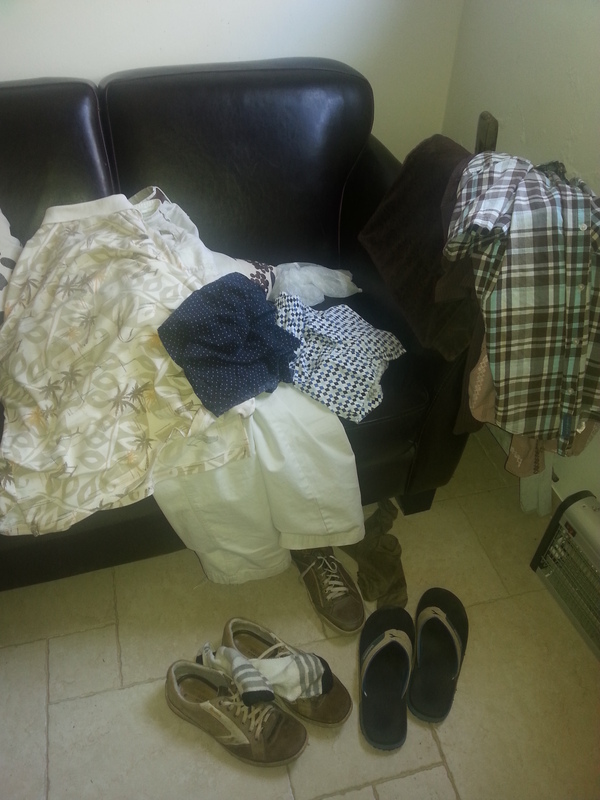 Dirty, sweaty clothes pile up in the laundry room. 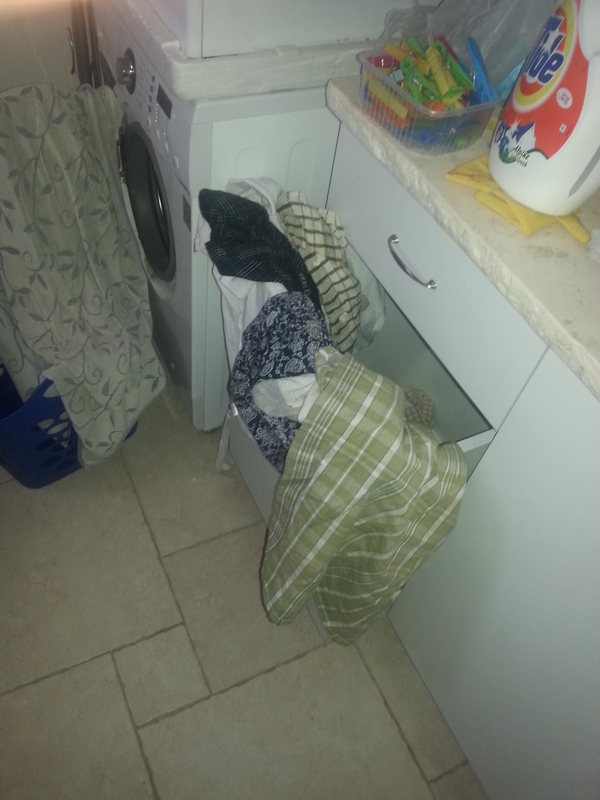 This is the life of a World Cup slob – me! This is what the World Cup does to some men – turns them from Metrosexuals to Neanderthals. The few times I looked at myself in the mirror the past 10 days, I don’t recognize the image. The clean shave has been replaced by a prickly stubble; the eyes are bloodshot from staying up past 2 in the morning; the hair’s wild. What’s even better (worse?) is that I don’t have to report or answer to anyone. Days before, my wife and daughters flew from Israel to California for a summer vacation. I have the entire house to myself! 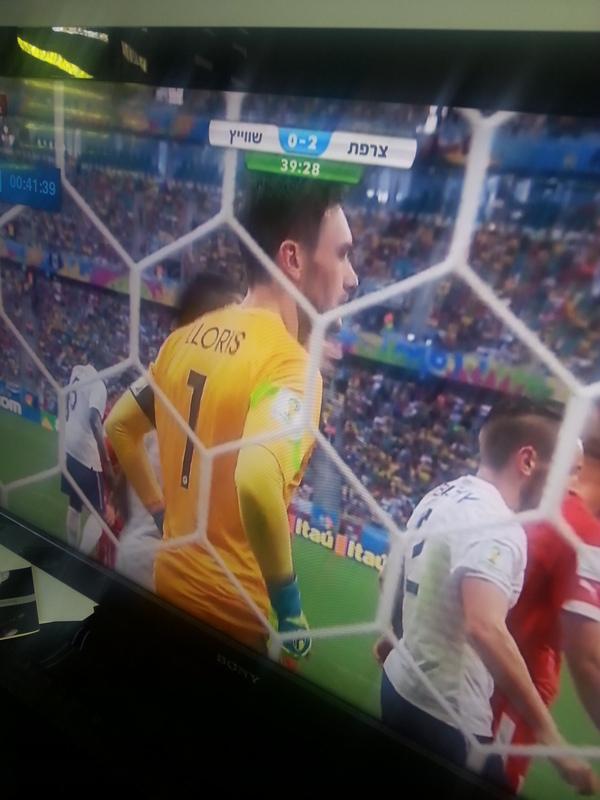 During the World Cup, other than part-time work, I don’t do much. Weeds sprout in the garden undisturbed. The sun beats down on the uncovered lawn furniture. My dog howls for attention. The trash can in the kitchen smells. Ants crawl on the countertop. The toilet bowl has many colors; white is not one of them. The towels are crunchy. The bed is unmade; the decorator pillows are on the floor. The fridge releases an echo when open. The Wold Cup – the celebration of football (soccer) – comes once every four years. Over 160 nations compete to be in the Wold Cup. Only 32 make it. For me, it’s not just a celebration of the beautiful game; it’s a celebration of life. Fans in the stadiums all over Brazil jump for joy, hug strangers, shed tears of victory or defeat. For many fotballers, it’s a once-in-a-lifetime adventure. They’re at the top of their game. These superb athletes represent flag and country. They fight with the skin of their teeth. They defend, attack, score, pray, rejoice. It’s the ultimate rush. From the comfort of my armchair at home, I cheer and heckle, watch replays of goals in slow motion, somehow feel the unbearable Brazilian heat, the cold, the humidity, thirst, exhaustion. It’s great to hear old-timers speak of past World Cups: 1966 in London, 1970 in Mexico City, 1994 in the United States. I AM such old-timer. As a kid, I watched a Wold Cup game in 1966, on a black-and-white TV, in a crowded cafe in Rome, with my father. I watched the 1970 Wold Cup on a giant screen at the Forum Sports Arena in Inglewood, California, again, with my father. And I watched the 1994 World Cup in Pasadena’s Rose Bowl, live, with a friend. On the radio recently some Israeli women complained that during the World Cup they had turned into “sports widows or girlfriends.” The talk show host responded: “Listen, women, once a month, you’re unavailable for a week. Once every four years, men are unavailable. The Final is almost three weeks away, but already, the World Cup in Brazil is destined to be one of the best. Come July 14, a day after the final, I promise to shave more often, to tak out the trash, to wash, to kill ants, to clear out the fridge. But until then, I’ll remain a happy slob. A final note from where I’m reporting: Israel did not qualify for the World Cup. But no worry — if there’s ever an accountants World Cup, I’m sure Israel will win. Until then, Israel can only dream of reaching this event, as shown in this YouTube clip. Maurice Labi is an Israeli-American who lived in Los Angeles for many years. In 2011 He returned to Northern Israel (Galilee) with his wife and twin teenage daughters. He is of two lands, of two cultures and he blogs about his experiences in Israel, particularly from Galilee where Jews and Arabs dwelled for centuries. Just wait until Pnina gets home. She’ll have a thing or two to say about it. Lol!